Santa Fe became the capital of the New Mexico province of the kingdom of Spain in 1610 and celebrated its 400th anniversary as the oldest capital city in the United States in 2010. From ancient native civilizations to today’s thriving Native American, Spanish, and modern American cultures, Santa Fe’s trail through history has been marked by color, diversity, and significance. Santa Fe has always embraced and preserved its past, leaving it rich in architecture, culture, and tradition for future generations. But it also is the City Different, embracing a vibrant contemporary community, and responded with great vision in purchasing the Railyard land and leading a years-long public process to redevelop it into a dynamic and unique new urban cultural and recreational center for all Santa Feans. The Santa Fe Railyard Community Corporation is honored to have been assigned the task of overseeing the realization of the ensuing Railyard Master Plan and managing its tenants and public spaces in collaboration with the City of Santa Fe. The Trust for Public Land (TPL) is a national, nonprofit, land conservation organization that conserves land for people to enjoy as parks, community gardens, historic sites, rural lands, and other natural places, ensuring livable communities for generations to come. Number one among its conservation initiatives is its Parks for People program. In 1995, TPL assisted the City of Santa Fe in purchasing the 50 acres of its blighted Railyard with bridge financing support, later overseeing a national design competition, fundraising of $13 million, and construction of the one-acre plaza, pocket parks and ten-acre park, including a performance green, climbing wall, playground, and bike and pedestrian trails. Surrounded by museums, galleries, live-work studios, an elementary school, and a teen center, the public space celebrates the history, creativity, and diversity of the city. The beautiful and innovative new public spaces of the Railyard Park, Plaza and Alameda are now enjoyed by every generation of Santa Fe’s citizens. The Santa Fe Conservation Trust is dedicated to preserving the spirit of place among the communities of northern New Mexico by protecting open spaces and critical wildlife habitat, by creating trails, and by protecting the traditional landscapes of our diverse cultures. The Santa Fe Conservation Trust accepted the transfer of a 15.7 acre conservation easement from the Trust for Public Land in 2015. In an agreement reached between the two entities, the Santa Fe Conservation Trust assumed the responsibility for the protection of the Santa Fe Railyard Park and Plaza conservation easement, preserving scenic and open space, and natural, historical, and recreational values. 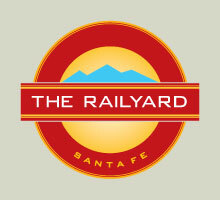 Working in collaboration with the City of Santa Fe, the Santa Fe Railyard Community Corporation, and the Railyard Conservancy, the Santa Fe Conservation Trust will help ensure that the Railyard Park and Plaza are maintained in perpetuity as a park and community gathering place, in a dynamic, multi-organizational structure that also includes an active rail line and multi-use rail trail. The Railyard Park Conservancy (formerly the Railyard Park Stewards) provides enhanced horticultural and conservation care for the Railyard Park and Plaza gardens and landscape, in addition to offering community and educational programming. As a registered 501(c)(3) nonprofit organization, the conservancy works in partnership with the City of Santa Fe, the Santa Fe Conservation Trust and SFRCC to offer our community and visitors alike, diverse cultural experiences in Santa Fe’s newest urban recreational center. The Railyard Conservancy relies on community volunteers to assist with the ongoing care and beautification of the gardens in the Park, to host national youth groups for summer in-service days and to help facilitate its growing public art program. …And from the beginning, the thousands of Santa Feans whose wisdom guided the Railyard through the public acquisition and planning process and who now enjoy a new gathering place for all backgrounds and ages with great open spaces, cultural and historic sites, entertainment, commercial venues and transportation hub. SFRCC is honored to continue the management of the Railyard’s tenant properties as well as the use of its new public spaces – the Railyard Park, Plaza and Alameda – on behalf of the citizens of Santa Fe.